Once an international student at St. Francis College (SFC) and now a full time faculty member, Marlon D. Joseph teaches a variety of science classes at SFC. He completed his undergraduate studies in biology and math at St. Francis College. 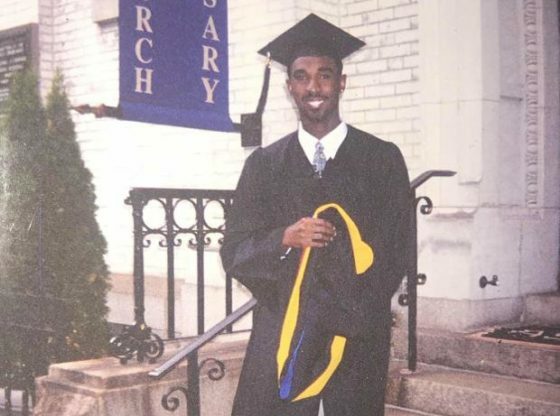 He then earned a Master’s in Public Health in Epidemiology and Biostatistics from Hunter College and completed his doctoral studies in epidemiology at Boston University. He currently teaches anatomy and physiology, general biology, microbiology, and epidemiology. “What I like about epidemiology is that it blends both biology and mathematics along with many other scientific disciplines to understand and explain the determinants and distribution of health problems and/or solutions. It has the potential to impact many people and the way we think about health using data analytics,” he said. In the past, Joseph has also taught statistics and neurobiology. He eventually saw himself as a professor, but didn’t always know that’s what he was going to pursue. “You want to create change, you want to do something that causes change…sounds like a big deal but one step at a time and you’ll do it,” Joseph said. On the side, Joseph engages in some research. Recent projects include research related to breast cancer mortality in the Caribbean and reproductive epidemiology. He was also a part of a 4-year European Union, Latin American and Caribbean (EU LAC) Health Project, which connected 20 countries in an effort to “network, facilitate science, and collaborate”. Meetings were held in Madrid, Mexico City, Rome and San Jose, Costa Rica. When he’s not teaching or researching, Professor Joseph is traveling — he’s been to at least 25 countries. During his travels he hikes, travels, plays, participates in water sports, and takes pictures. In fact, photography has become one of his hobbies, something that he shares with his Dad, who is a digital media professional. Joseph said he is interested in having a photography exhibit right on campus at the Callahan Center. The potential exhibit is still a work in progress because Professor Joseph has yet to choose a theme to concentrate on. Nevertheless, he remains optimistic about the future, “I try to be positive about most things in life” and encourages students to do the same.